Two new studies have suggested that the 3D printing industry is on the verge of a boom. It is thought that sales of consumer printers are likely to begin increasing rapidly, as is the value of good produced by businesses using 3D printing to manufacture them. Consumer 3D Printing & Scanning: Service Models, Devices & Opportunities 2014-2018 by Juniper Research predicts that sales of consumer 3D printers will increase from around 44,000 this year to over 1 million units by 2018. It suggests that "killer applications" with the appropriate ecosystem have yet to be identified and communicated, but that they will be key drivers of growth when they are. 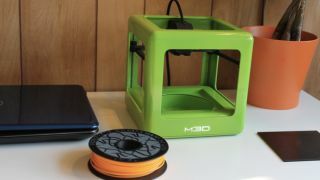 Nitin Bhas, author of the Juniper report, said, "Educating and motivating the public on the idea of 3D printing, to create everyday objects is critical for the long-term success of this segment." Meanwhile, a report by the Chartered Institute of IT (BCS) suggests that there is growing confidence in the capabilities of 3D printing and its potential benefits, such as reduced costs, increased product diversity and greater design flexibility. Riding the Next Wave: 3D printing cites a figure from Wohlers Associates that predicts an increase in the sales of 3D-printing products and services from $2.2 billion in 2012 to around $6 billion in 2017. "The consumerisation of 3D printing has brought about all sorts of possibilities for businesses," explains Adam Thilthorpe, director of professionalism at the BCS. "Its biggest selling point is the ability to design and create products, or even a single product to highly specific demands."